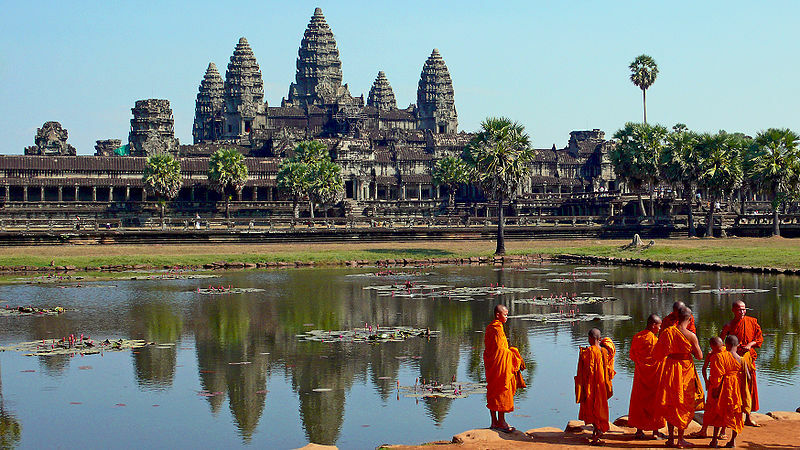 Siem Reap in Cambodia is one my top 5 travel destinations in the world. For anyone who has been there or seen images of Angkor Wat, Angkor Thom and the surrounding region I am sure it is not hard to understand why. 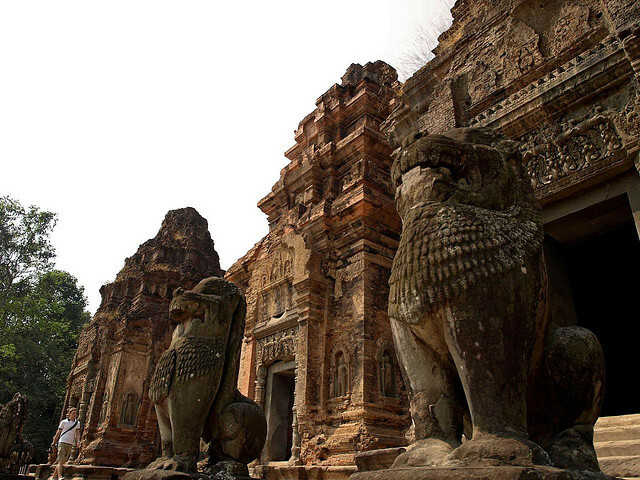 The historic sites of Cambodia are simply stunning. I am a temple junkie, so I am sure it is no surprise that I chose to spend a little longer in Siem Reap than most people do. As I just having a drink at a local bar, the owner and bar-tender commented that it was unusual to see the same person there three nights in a row (yes I am a creature of habit), he noted that usually people only spend 2 to 3 days in Siem Reap. I spent 6 days because I really wanted to take in the experience. Cambodia is a beautiful country, and whilst it sadly has the recent memory of war, the people are just beautiful, warm and kind. This seems to be something I have notice a lot in my travels, where a country has recently experienced prolonged war and destruction, the people seem to be more open and gentle. It is an interesting observation, one that I have noticed in diverse countries, from Vietnam to Uganda as well. I don’t know if it is the recent memory of war and the first-hand knowledge of what it does, that makes people more empathetic, or if it is just my own imagination. Regardless, I loved the Cambodian people. Even though I was travelling on my own, sometimes off-the-beaten track to lesser visited temples, I never felt threatened or unsafe. Although I did feel a little apprehensive getting on the back of a motorcycle driving off road, more so because I had heard this was a no-no due to the presence of land mines in the region. Whilst I did the obligatory visits to Angkor Wat, both at Sunrise and Sunset to see how the light differed the texture of the carvings, I also did some things most other tourists don’t necessarily get time for. For example, I visited Angkor Thom three times, the second and third time was mainly to see the spectacular carvings of the Bayon in different light, at different times of day I could swear the eyes followed me in an eerie way. Ta Phrom, had to be seen, the photo of a huge tree growing out of the uncovered temple is iconic. But for me, the best parts of Angkor were the sites less visited. I headed out on the back of a motorcycle to the Rolous Group . There are three main sites to see in this region, and it is possible to take it easy and spend a day visiting them. Some people even cycled there on push-bike from Siem Reap getting in some exercise as well. Built in the 9th Century, whilst these temples aren’t as grand as Angkor Wat, they have their own unique style and are more pleasant to visit just for the lack of crowds. 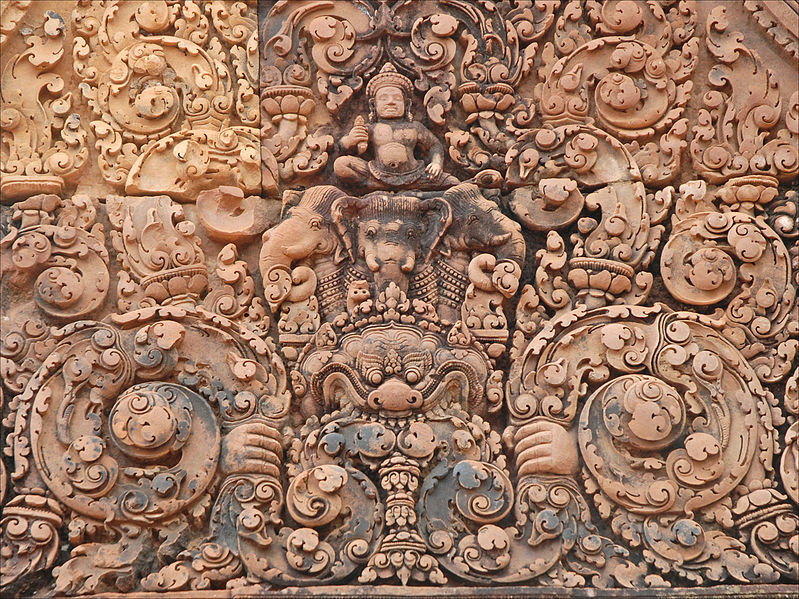 I also was spent a day going to Banteay Srey Temple, that is just exquisite. It is called the Ladies’ Temple because it was believed that only a woman could create something so delicate, but this temple is dedicated to the destroyer, the Hindu God Shiva. The buildings have been partially restored, but in a way that still maintains their beauty. Being about 25km away from Siem Reap, the journey to Banteay Srey is a lovely one, past fields and rice paddies, I wished I had packed a picnic. Each night I spent in Siem Reap I was able to try a different restaurant, enjoy the fresh local flavours, and then took my book to my “local” to enjoy a drink before heading to bed early. Taking it slowly, soaking in the atmosphere and getting to know this busy town is something I would recommend. So if you are thinking of heading there but don’t know how long to spend in Siem Reap, I encourage you to take a couple of extra days and really explore and appreciate this beautiful and amazing town.